"So, we've got to teach history based not on what's in fashion but what's important--why the "Pilgrims came here, who Jimmy Doolittle was, and what those 30 seconds over Tokyo meant. You know, 4 years ago on the 40th anniversary of D-Day, I read a letter from a young woman writing to her late father, who'd fought on Omaha Beach. Her name was Lisa Zanatta Henn, and she said, "We will always remember, we will never forget what the boys of Normandy did." Well, let's help her keep her word. If we forget what we did, we won't know who we are. I'm warning of an eradication of the American memory that could result, ultimately, in an erosion of the American spirit. Let's start with some basics: more attention to American history and a greater emphasis on civic ritual. "And let me offer lesson number one about America: All great change in America begins at the dinner table. So, tomorrow night in the kitchen, I hope the talking begins. And children, if your parents haven't been teaching you what it means to be an American, let 'em know and nail 'em on it. That would be a very American thing to do." 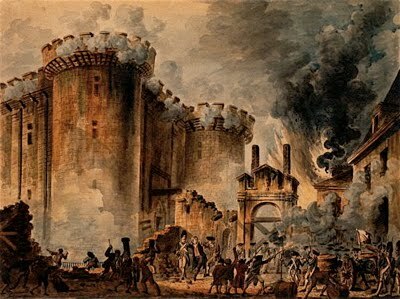 We wanted to bring to your attention Historian David McCullough's piece on Bastille Day, which is celebrated today. The piece appears in today's edition of the New York Times. A Pulitzer Prize winning author, Mr. McCullough -long regarded as 'America's Historian-' is a member of the National Council for History Education's advisory board. His newest book is entitled The Greater Journey: Americans in Paris. Click this link for the review in the New York Times. Today's Honolulu Star Advertiser features this story on eight Oahu high schools students earning scholarships up to $2,000 each through the National Merit Scholarship Program. Gabriella E. Henrie of Kahuku High received the National Merit Herbert A. Templeton Scholarship. Zhenghua Huang of ‘Iolani received the National Merit New York University Scholarship. Sho Kenneth Kajima of ‘Iolani received the National Merit Claremont McKenna College Scholarship. Jeffrey Y. Kawahara of ‘Iolani received the National Merit Oberlin College Scholarship. Alexander W. Pang of Punahou received the National Merit Kenyon College Scholarship. David M. Pham of ‘Iolani received the National Merit Arizona State University Scholarship. Colin C. Tseng of ‘Iolani received the National Merit University of Southern California Scholarship. Jamie S. K. Takayesu of ‘Iolani also received the National Merit University of Southern California Scholarship. 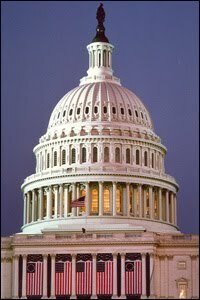 C-SPAN recorded the May 5th and 6th Symposium in the Dirksen Senate Office Building and the Capitol Visitor Center and is beginning to broadcast individual talks on American History TV. For a full American History TV schedule, click here and see the box on the right (scroll down in the box for later times). Talks are listed by the speaker's name. For more information about all the symposium speakers, including their names and topics, visit the USCHS page announcing the event. "The Process and Meaning of Emancipation during the War"
C-SPAN aired Gary Gallagher (University of Virginia, "'Wherever our Army Has Been, There Remain No Slaves': Union Military Forces in the Equation of Emancipation") previously, and it is archived on C-SPAN's website. Programs stream online as they air and are available for online viewing anytime the Tuesday after they are broadcast. Check our website or on American History TV's schedule for future broadcasts. Webinar July 19: The Nation's Report Card: Geography 2010, Grades 4, 8, and 12. As the world becomes more interconnected through technology and shared concerns about economic, political, social, and environmental issues, the need for geographic knowledge increases. But how well are today's students performing in geography? Please join us for the release of The Nation's Report Card: Geography 2010, Grades 4, 8, and 12 on july 19 at 11:00 a.m. to Noon EDT. The 2010 National Assessment of Educational Progress (NAEP) geography assessment focuses on what students should know to be competent and productive 21st century citizens, combining key physical science and social science aspects of geography into a cohesive whole. Students responded to questions designed to measure their knowledge of geography in the context of space and place, environment and society, and spatial dynamics and connections. This is only the third time in nearly two decades that The Nation's Report Card has assessed students on their knowledge in geography. The 2010 results can be compared to results from 2001 and 1994. A distinguished panel will discuss the report's findings and the importance of geography in shaping an increasingly global society.